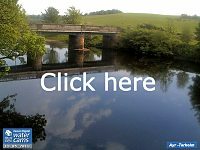 Ayrshire Rivers Trust have recently developed a novel new way to make and fit baffles at low cost. 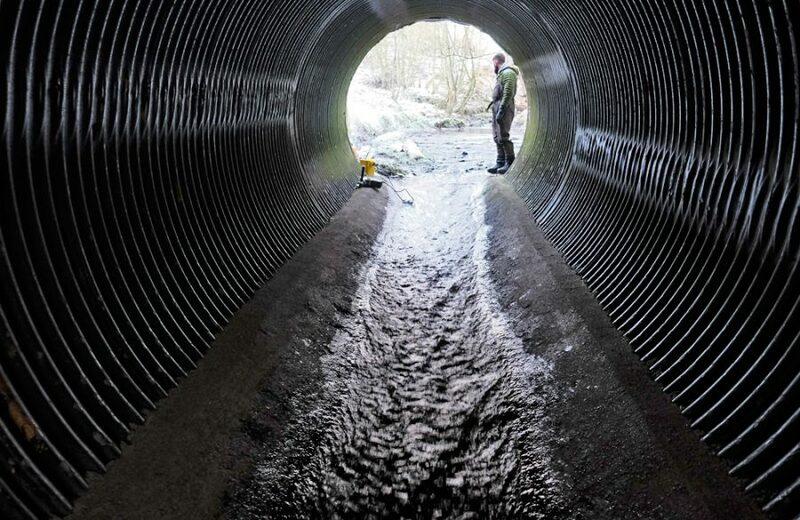 The concept has been proven and appears most suitable in small to medium sized culverts. 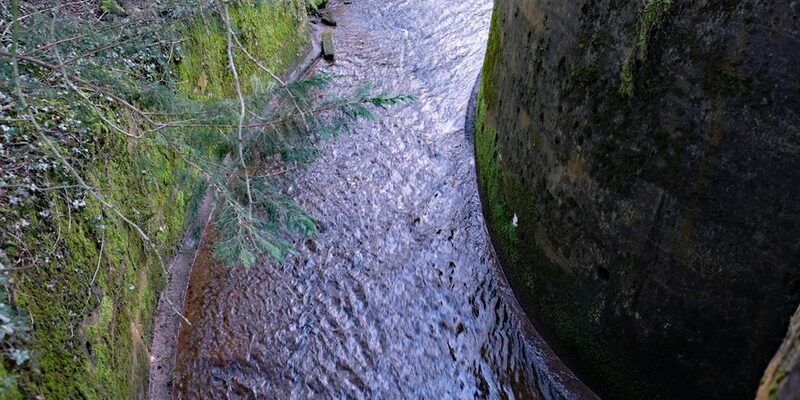 ART are about to submit a CAR application to SEPA to ease two difficult barriers at the lower Bogend Burn in Catrine. The first is a concrete channel between two artificial walls where the burn runs under Newton Street. This is not impassible but certainly limits migration. The lower end of the concrete chute under the road bridge. 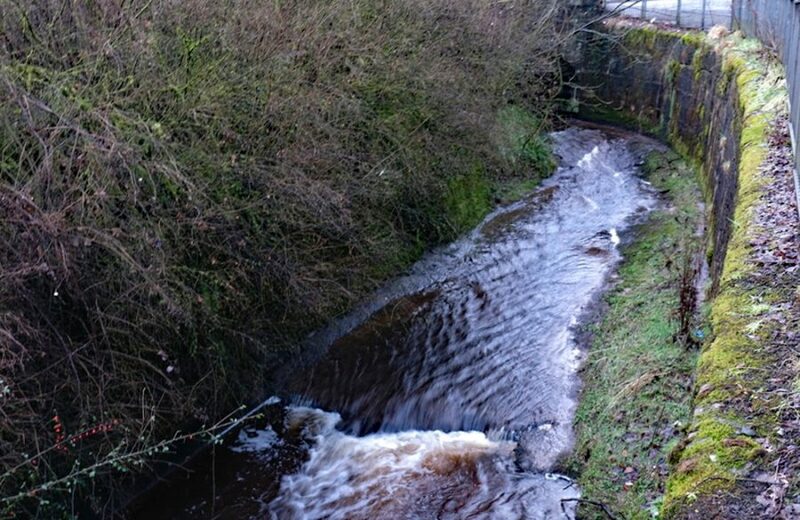 A very short distance upstream and the armco culvert on the road up to the housing scheme is next in line for easement. The velocity and length without a resting opportunity make this barrier almost impassible at most flows. 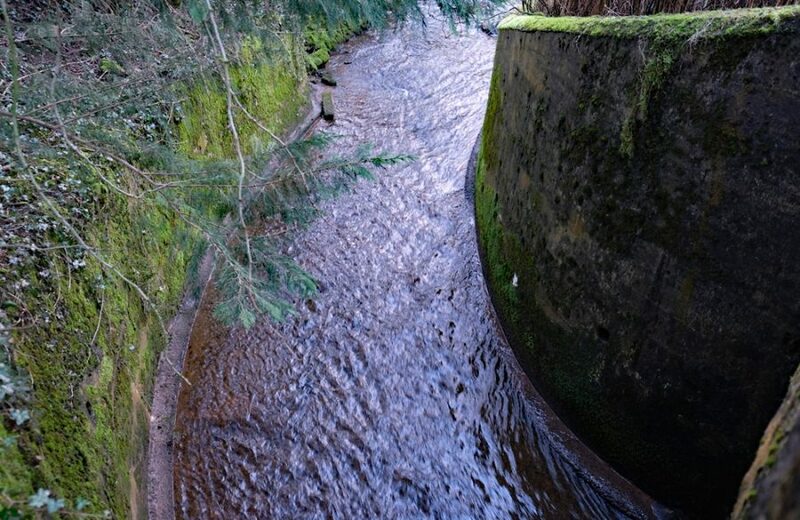 The cumulative impact of these two culverts excludes most salmonids from moving upstream to where the habitat is suitable for spawning. It may not be the cleanest burn year round but it certainly has potential. On only one occasion has ART biologists recorded a salmon upstream of these structures. Trout migration is bound to be curtailed too so the potential benefits are great. ART are keen to trial the new baffle system they have developed and see what results can be achieve. ART state that they came up with the new baffles through necessity as funding for more traditional culvert easement materials and installation was not forthcoming and they were frustrated that with no investment, little prospect of improvements could be achieved. ‘Necessity is the mother of invention’ …as they say! 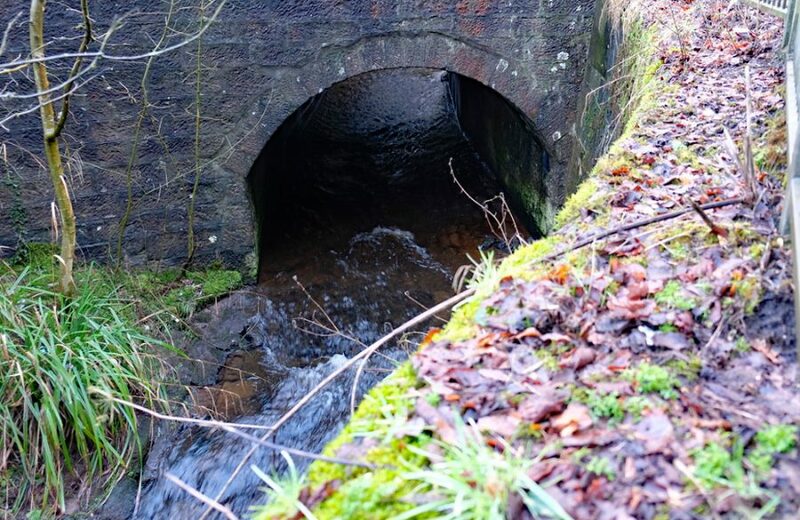 Unfortunately, the responsibility for these culverts lie with Ayrshire Roads Alliance and they are slow to tackle problems under road bridges unless classed as emergency and essential maintenance. ART will in the meantime, we will seek appropriate permissions (and contributions????) from ARA and SEPA and if approved, we will ease these two barriers in the summer. Watch this space for updates.